The aim of the Lorck Schive Kunstpris is to generate debate and interest around contemporary art by honouring excellent artists. The Lorck Schive Kunstpris is granted jointly by the Christian Lorck Schive and Spouse Trust and Trondheim kunstmuseum (TKM). It consists of an exhibition and a prize awarded every second year, totalling NOK 1.4 million. As the exhibition is seen as an important part of the award, a significant sum is given to the four nominated artists and TKM to produce the exhibition. The prize itself is NOK 500,000. The Christian Lorck Schive and Spouse Trust was established in 1878, while the present format was introduced in 2013. The national stipend committee of the Christian Lorck Schive and Spouse Trust and TKM nominates the three-member international jury. Why an Art Prize? Being appreciated is often regarded as a basic and universal human need, as Dag Wiersholm writes in his reflection ‟The Art of Praise”. In the contemporary art world, awards and their grounds are discussed and rightfully contested. How, asks Wiersholm, does a hierarchical set of values, based on the concept of quality, function in late modernity’s fragmented public sphere? Even the concept of quality itself is a fundamentally contested concept, seen in relation to changing historical parameters within the fields of aesthetics and ethics. In addition to the prize, the Lorck Schive Kunstpris gives recognition to long-term dedication to the exploration of art and its myriad of languages. Christian Lorck Schive and wife Marine Sophie Wille established the trust in 1878. Revenues are generated from land leases in Trondheim. Consequently, the trust is both commercially and politically independent. Four independent bodies nominate up to eleven candidates among artists living and/or working in Norway. Nominees can be up to 50 years old. The nominating bodies are: The Norwegian Scholarship Committee, TKM, Norwegian Critics´Association and the Norwegian Association of Curators. The Lorck Schive board chooses four of these artists who are invited to participate at the award exhibition at TKM. The Lorck Schive Kunstpris was initiated by the Board of Christian Lorck Schive and Spouse Artist Trust. The Board consists of Sissel Lillebostad, Ruben Steinum and Odd Fredrik Heiberg. 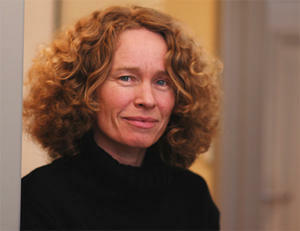 Sissel Lillebostad works as a curator, writer, and artist. Born in Molde and educated at KHiO, KHiB and UiB. Leader of Creative Curating at KHiB from 2004-2014. Collaborated with composers, choreographers and writers on several performances and installations. Leader of two major art in public space projects in Bergen, among them Bergen University College. 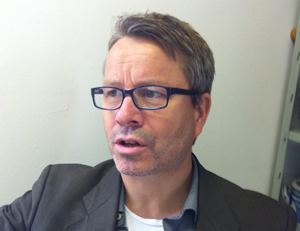 Editor of Kunstjournalen B-Post 2008, 2012, 2013 and 2015 in addition to publishing texts in other publications. Acting Director at Stiftelsen 3,14 in 2009-10. Lillebostad lives in Bergen. Ruben Steinum (b. 1984, Oslo, Norway) is an artist graduated from the Norwegian Academy of Fine Arts in Oslo. In addition to his artistic practice, Steinum has two appointments in the artist unions and is engaged in several projects that focuses on the artist and art's rightful place in the center of society. 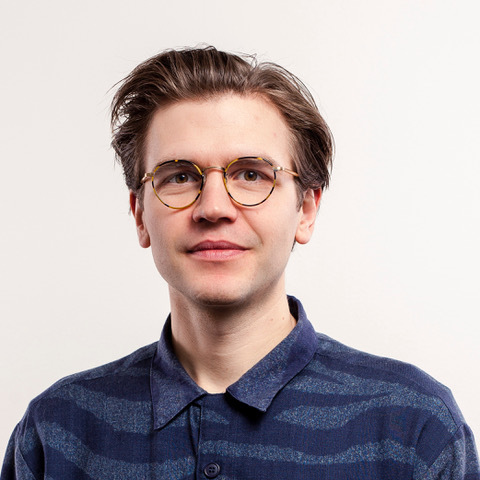 Steinum is chairman of UKS (Young Artists Society), board member of Norwegian Visual Artists (NBK), and co-founder of the art sales platform Atelier. Steinum lives on Nesodden, Norway. Artist, Project Manager, art Consultant and Curator. Born in Oslo. Educated at KHiB, Norway, and Willem de Kooning Academie, Rotterdam, Holland. Project Manager for Tempo 2006 - 2009. Work both as Art Consultant and as executing Artist at public Commissions. Exhibit in separate- and Group Shows. Lives and works in Skien, Norway.